On this date, five matches took place at the Honolulu International Center. In the preliminaries, Pedro Morales won two out of three falls from Harry Fujiwara. 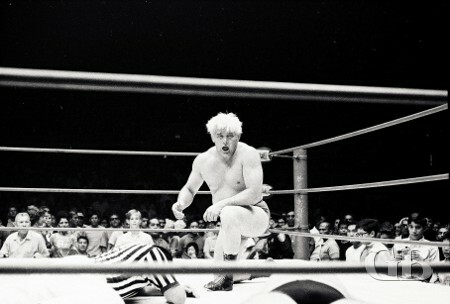 Billy white Wolf took a one fall decision from Jerry London and Bearcat Wright and Kenji Shibuya battled to a draw. Chief Billy White Wolf does a few leg stretches in preparation for his Indian Death Lock. White Wolf applies the painful Indian Death Lock on Jerry London. 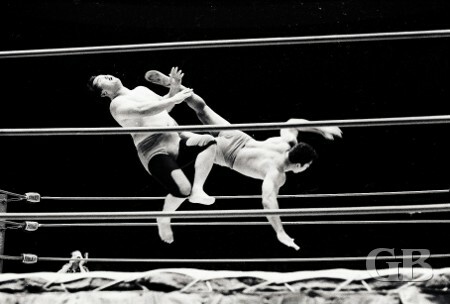 Pedro Morales delivers a whopper of a drop kick to a stunned Harry Fujiwara (Mr. Fuji). Pedro Morales and Harry Fujiwara outside the ring on the concrete floor. 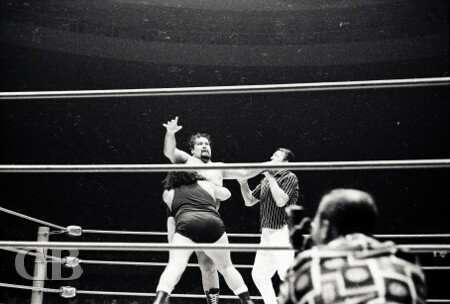 Kenji Shibuya punishes Bearcat Wright in the corner as referee Wally Tsutsumi looks on. Bearcat Wright delivers a brutal elbow to Shibuya's jaw. 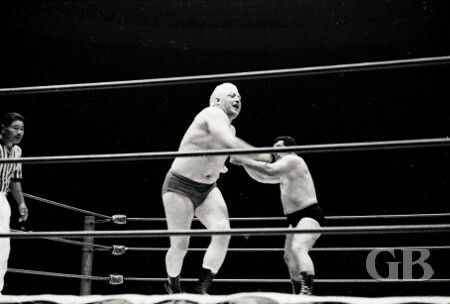 The first main event had Jim Hady against Ray Stevens for the United States Heavyweight belt. Hady was the title holder. The match was two out of three falls. Hady won the first fall, Stevens evened the match up with a bombs away. In the third and deciding fall, Stevens used brass knuckles on Hady and pinned him while the referee wasn't looking to win the United States title. Ray Stevens delivers the "Bombs Away" knee drop on Jim Hady. Jim Hady throws Ray Stevens into the ropes. Ray Stevens back flips Jim Hady. 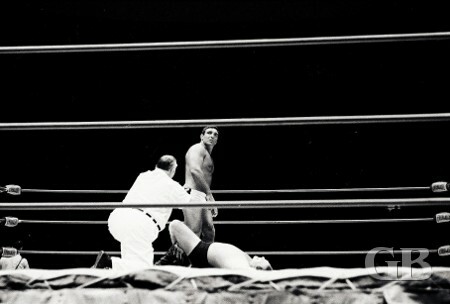 Ray Stevens takes a breather as both Jim Hady and the referee lay face down in the ring. The main event was a six man elimination tag team match. Johnny Barend, Ripper Collins, and Curtis Iaukea, known as "The Riot Squad," formed one team while the other side had Peter Maivia, Neff Maiava, and The Missing Link. In a normal six man tag team bout, there are three men on each team. 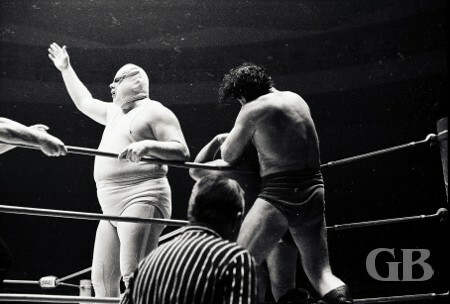 Each team has one man in the ring, two men standing by. But in an elimination match, when one wrestler is pinned or beaten with a submission hold, he must leave the ring and not appear again in the match. After a series of pinned falls, Curtis Iaukea pinned The Missing Link to give his three man team, including Barend and Collins, victory over Maivia, Maiava, and The Missing Link. Johnny Barend works over Neff Maiava as a masked Ripper Collins distracts the referee. The Missing Link bearhugs Ripper Collins as referee #2, Lord Tallyho Blears, waits for a submission. 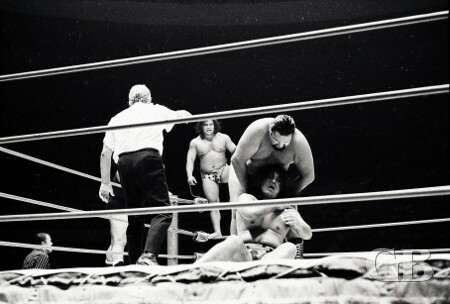 Curtis Iaukea applies a nerve hold on Neff Maiava as tag partner Peter Maivia stands on the ropes in the background. 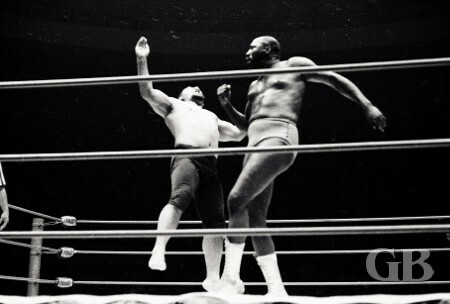 Referee #1, Pete Peterson, looks on as the Missing Link applies his famous bearhug on Curtis Iaukea.